Today’s weekday run. Target 8K. Achieved 8.37K. Pushed myself really hard today. 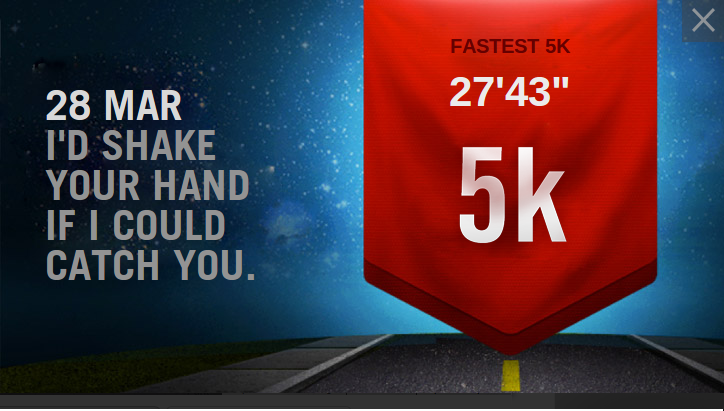 Broke my 5K record. Warning: Readers of a sensitive nature may wish to have some tissues nearby. Readers prone to depression may wish to avoid this article. Just made some updates to my Zombies, Run 2 Google Music FAQ. It’s funny what you find when you freeze-frame scenes….